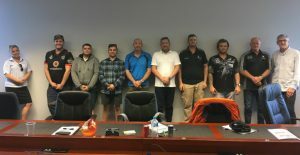 During July, Wilson Mining Services (WMS) was delighted to be able to offer new employees the chance to participate in their 1 day Safety Leadership course. The course has been running since 2014 and every member of Wilson Mining has been involved. 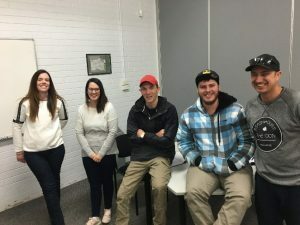 Our special thanks go to the Newcastle Mines Rescue Station for providing the venue for our 2 x NSW courses whilst the Mackay QLD course was held in training rooms in our office building. The Safety Leadership course is part of our business improvement safety strategy and it’s led from the top with CEO Mark Levey providing the opening address in NSW and QLD State Operations Manager Matt Williams opening the course in Mackay. 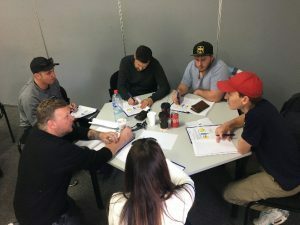 Both of them provided stark reminders of the importance of safety and their personal stories showed each group how ingrained safety is in the way in which they lead and manage their business. The course explores the ‘people’ side of safety and aims to improve safe work practices by focusing on safe behaviours, hazard awareness, teamwork, communication skills and leadership. A real highlight of the course were the sessions on reducing human error, building positive attitudes to safety, job planning, teamwork and problem solving. And the mix of theory with some more practical examples around intervening in unsafe situations or solving problems as a team was well received by the crews who engaged well in the activities and scenario training. 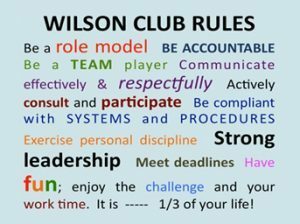 As the course closed the focus fell on the Wilson Club Rules, a set of valued behaviours that all our employees commit to which ensures that we all work together and create a safe, accountable and achievement focused workplace. And the best thing about the day was that the crews had fun (which is one of the Club Rules). In an ongoing commitment to safety, teamwork and leadership Wilson Mining is now looking at creating a Stage 2 program to reinforce and further enhance the capability of our people and organisation. The next set of courses are planned for later in 2018 that will once again bring our employees together to focus upon safety and help drive a safe working culture.